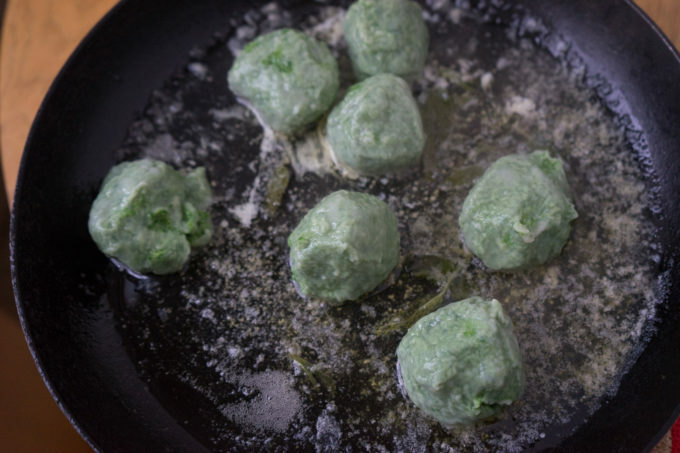 These feather-light balls of spinach, ricotta and Parmigiano-Reggiano cheeses with a hint of nutmeg take a warm bath in sage infused butter before being served. They are the perfect dish when the weather is cold but you are bored of stews and roasts. 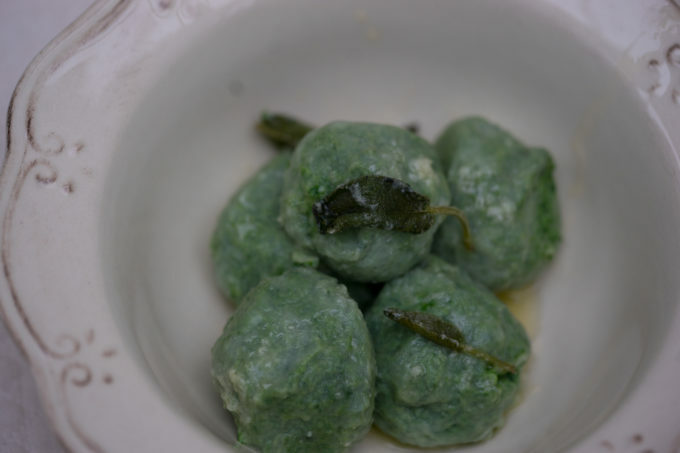 Ravioli gnudi alla fiorentina (as many other spinach based dishes) are from Florence. 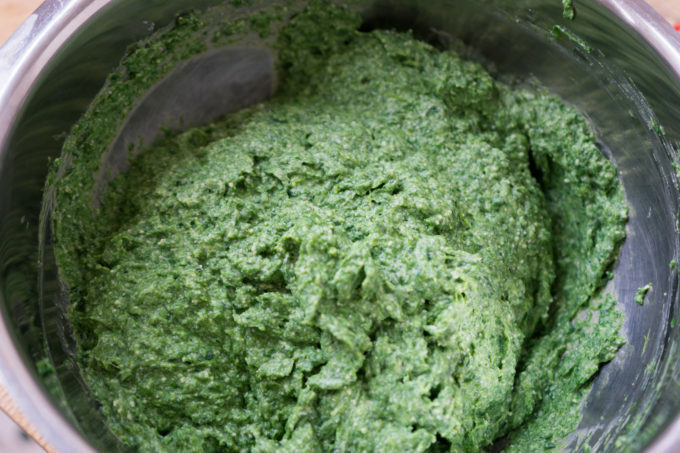 The key to this dish is removing as much moisture as possible from the spinach and ricotta in order to add as little flour as possible. 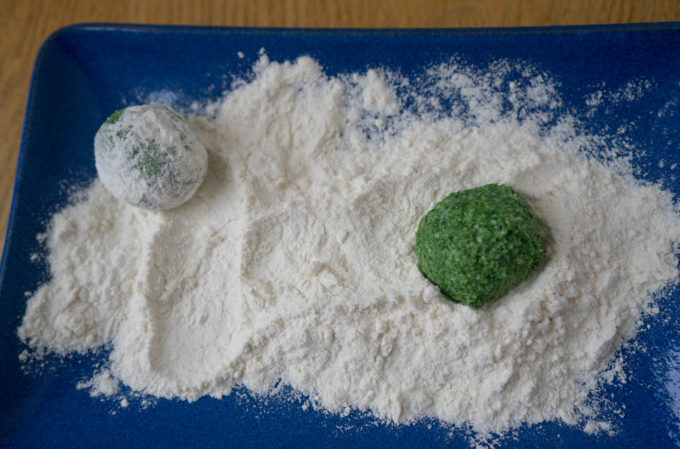 The more flour that is added, the heavier the dumplings become so in order to keep them feather light, remove liquid from the remaining ingredients. 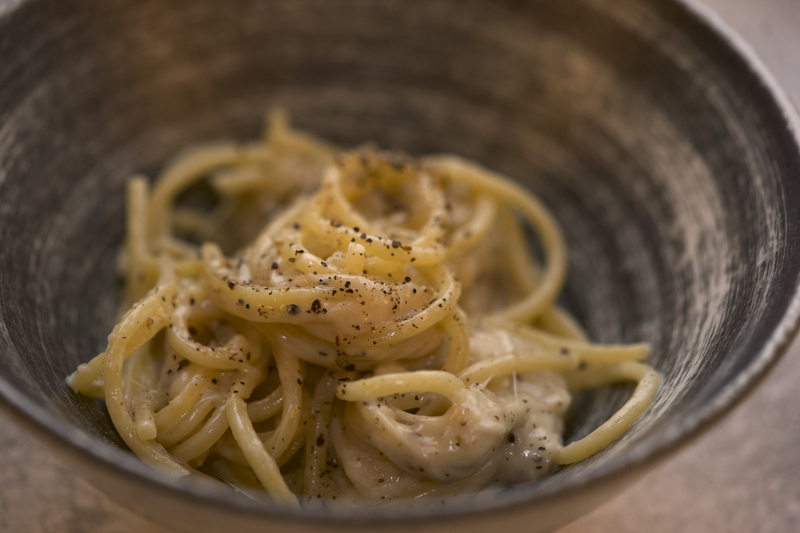 This dish can be prepared a day in advance and poached just before serving. It can also be served with a tomato sauce or meat sauce. 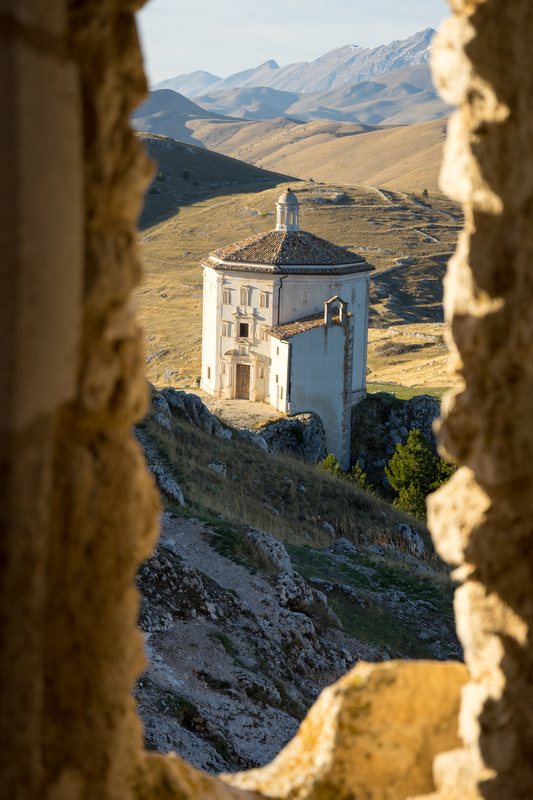 In Tuscany, ravioli gnudi are also made with chard in place of spinach and with pecorino in place of Parmigiano-Reggiano in different areas across the region. They are known also as malfatti or strozzapreti and can be served as a first course or as a side dish. 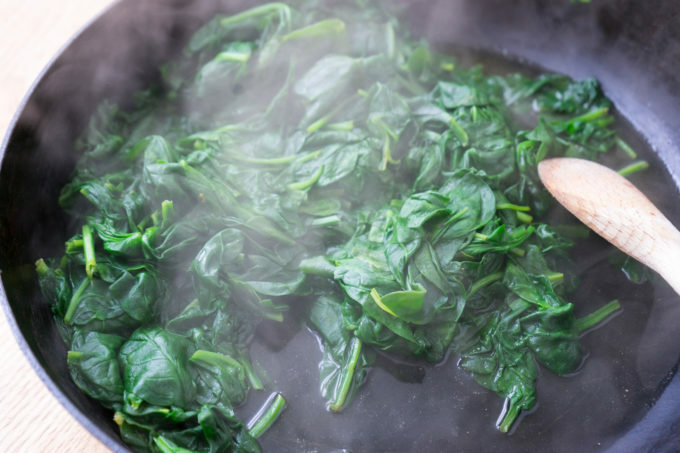 Place the spinach in a large saute pan over medium-high heat and cover with a lid. 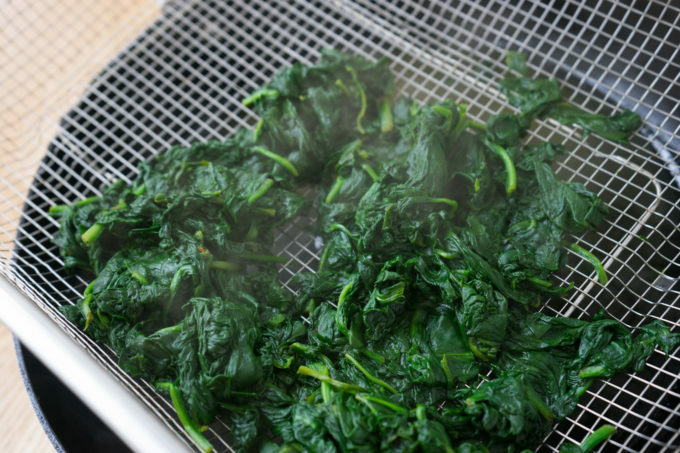 Stir occasionally until the spinach has all wilted. 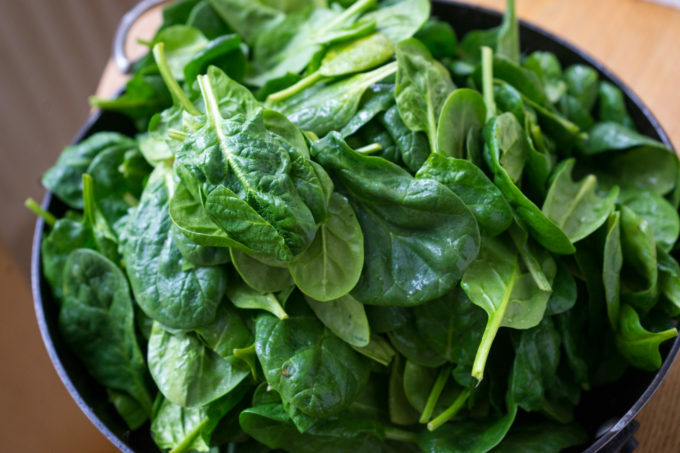 Place the cooked spinach into a colander to drain, pressing down with a wooden spoon to squeeze out as much water as possible. 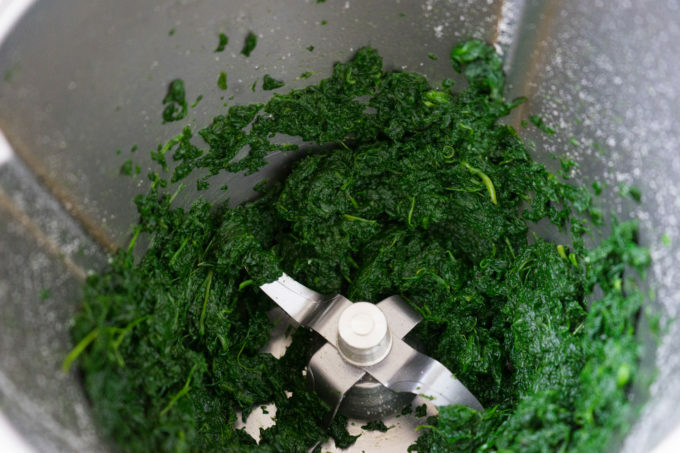 When cool, cut up the spinach a finely as possible with a large knife or in a food processor. 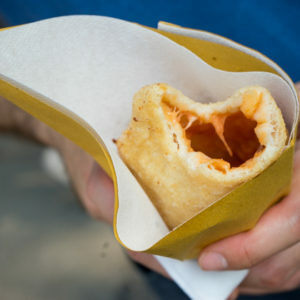 Mix the ricotta, 70 grams of the Parmigiano-Reggiano cheese, nutmeg, eggs, 50 grams of flour and salt and pepper to taste. Refrigerate the mixture for an hour or overnight. Bring a large pot of salted water to boil. 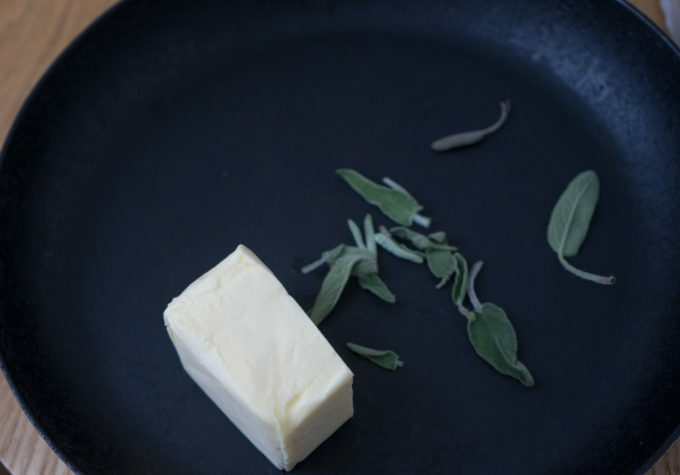 In a frying pan, add the butter and the sage and heat until the butter melts. Remove the butter from the heat once melted. 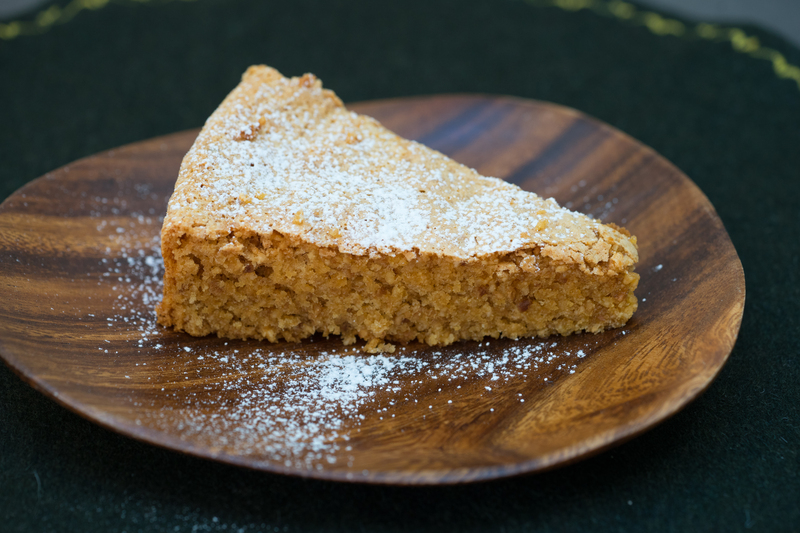 Cover a plate or tray with flour. Wet your hands and roll one walnut-sized ball from the mixture. Roll the ball around in the flour. 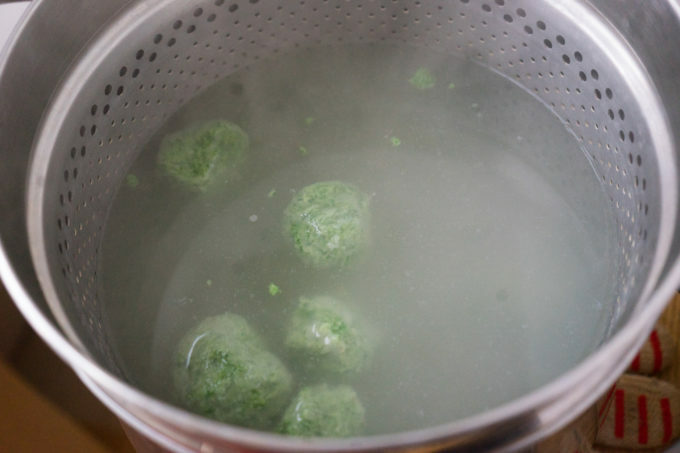 Add the ball to the water and reduce the heat so that the water simmers gently. Let cook until it floats (3 to 5 minutes). This will be a nerve racking moment as you wait to see if it floats or disintegrates. 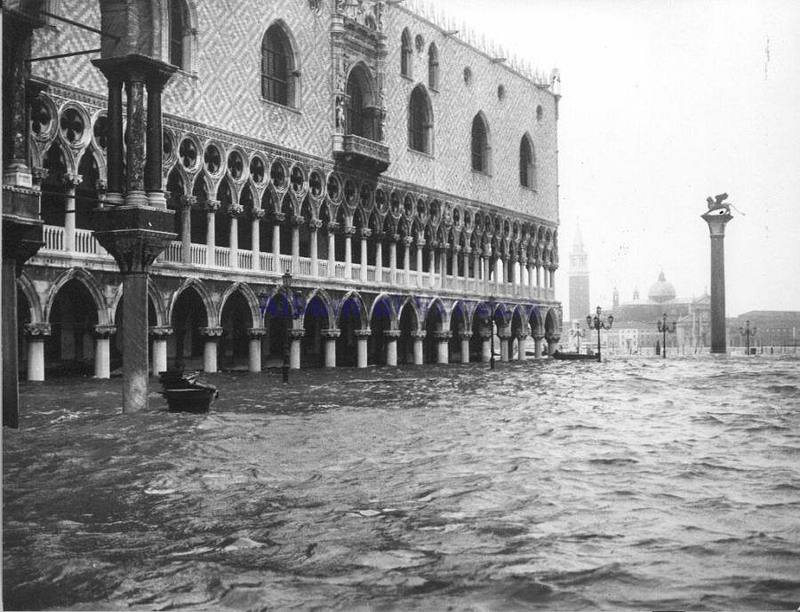 If it has not fallen apart, keep the water simmering until it floats. 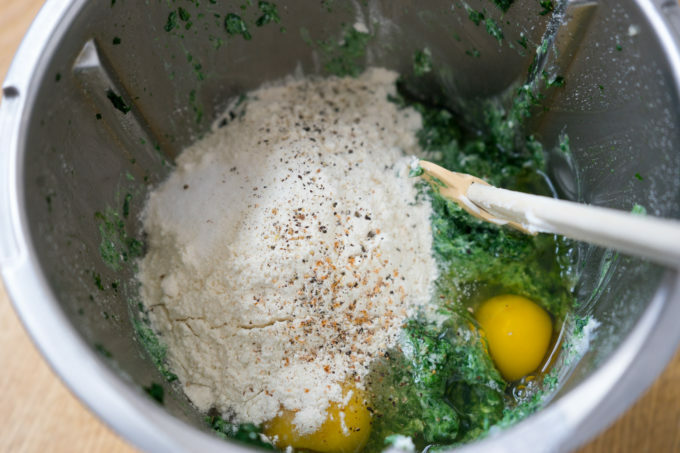 If it falls apart, add another spoonful of flour to the mixture and give it another go. Repeat forming the balls, rolling them in flour and adding them to the simmering water. Remove the dumplings with a slotted spoon and add to the frying pan with the melted butter. Shake the frying pan to coat the dumplings. 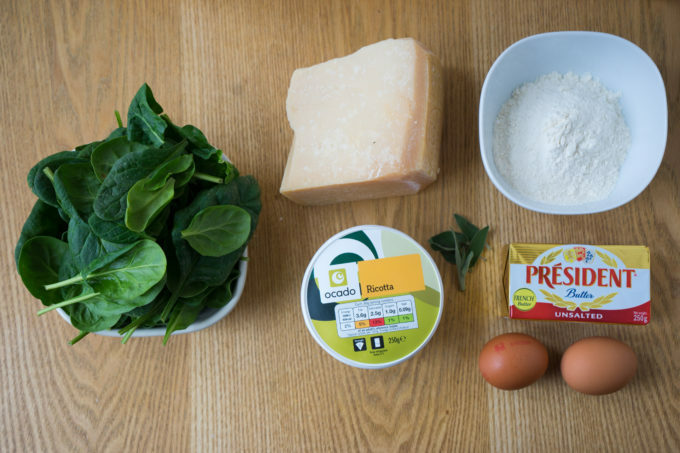 Remove to serving dishes and sprinkle the remaining 30 grams of Parmigiano-Reggiano cheese.